There is no life without light. I am enthralled and preoccupied by light’s incredible power to transform my perception of objects, spaces, and the human body. Revealing and obscuring forms, visual reality is in constant flux. Light is fleeting. Life is fleeting. Shadows move across the living room, white curtains become a dance of pale blue and evening’s orange light; my own skin dissolves or emerges from a blue wall. The inherent beauty I see in these small interactions drives my painting practice. In the form of mark and color, I record the beauty and complexity inherent in my mundane surroundings, giving testament to my conscious effort to be present in this world. Sara Pedigo is a painter living and working in Saint Augustine, Florida. 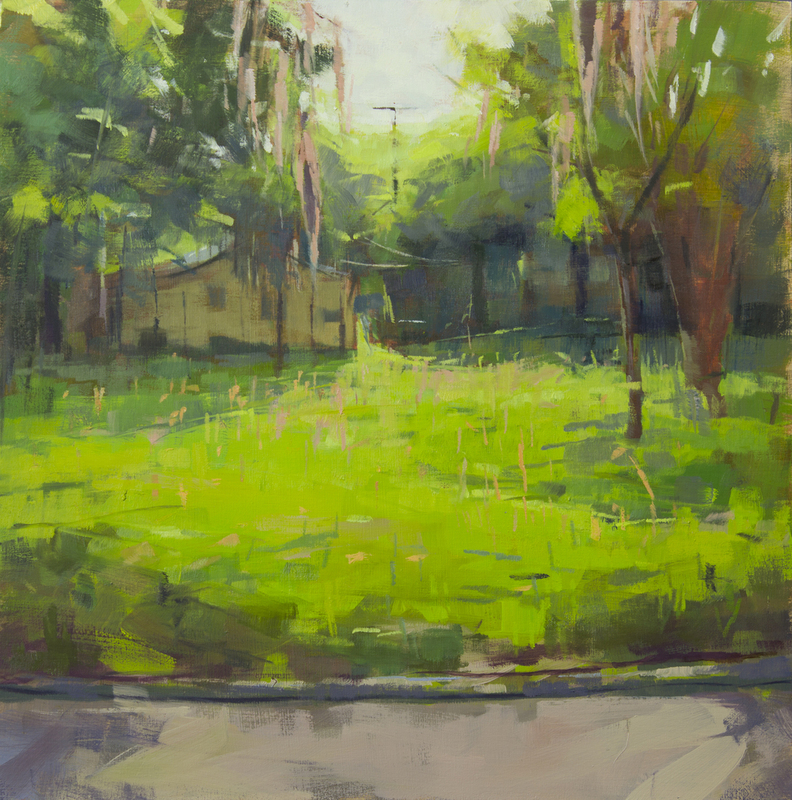 She has exhibited in solo shows at Wynn Bone Gallery, Annapolis, Maryland (2011, 2013), Florida School for the Arts, Palatka, Florida (2013), and Fifth Avenue Gallery, Melbourne, Florida (2010), and CEAM, St. Augustine, FL (2012). She has been a part of multiple group exhibitions throughout the United States. Most notably, she was included in the 2006 Outwin Boochever Portrait Competition at the Smithsonian National Portrait Gallery, Washington DC, and in exhibitions at the Cue Foundation, New York, NY, and the Naples Art Museum, Naples, Florida. In 2006 she received a Joan Mitchell Foundation MFA Grant. Pedigo received her Master of Fine Arts from the University of Massachusetts in Amherst. She is currently an Associate Professor at Flagler College, her undergraduate alma mater.